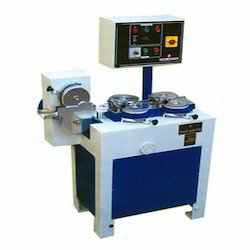 Application: Forms a uniform size, continuous rope of sugar mass for Toffee forming. dimensions : 3' 2" x 2' 2" x 4' 4"
: the toffee / candy thin rope from batch roller further proceeds into rope sizer to form exact size rope as per toffee / candy size. 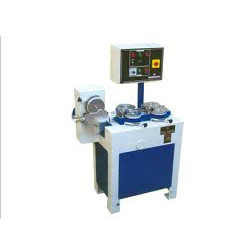 The Candy Rope Sizer can be supplied as a standalone unit or as part of a complete candy manufacturing production line. With the constant support of our dexterous crew of technocrats, we are fulfilling the varied requirements of clients by manufacturing and supplying optimum quality Rope Sizer Machine. - Widely used in bakeries and confectioneries. using high grade stainless steel and other quality components, we fabricate a broad line of Tennon Sizer machines. These machines are acknowledged by the clients for features like low noise, high performance, ease of operation and low maintenance. Clients across different industries utilize our machines for variety of applications. - Infinity variable speed, can be synchronized with forming / cutting machine. - New easy to clean Stainless Steel top plate.